The foundations are less than 1m deep below grade, and they have lateral capacity. 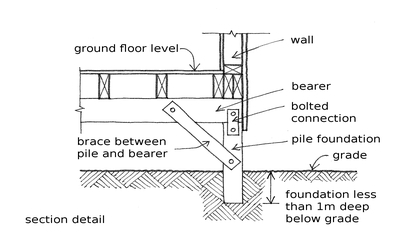 Foundations with lateral capacity include tie-beams, foundation walls bracing in the direction of their lengths, inclined piles, piles or piers on wide spread footings, cantilevered or braced piles, and slabs on grade. 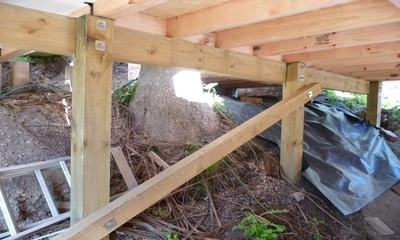 An example of a braced timber pile shallow foundation that has lateral capacity. 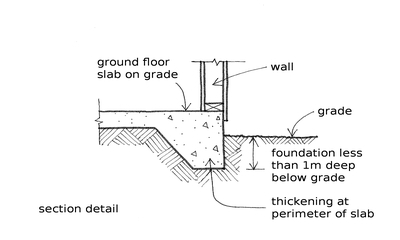 An example of a slab-on-grade shallow foundation that has lateral capacity. 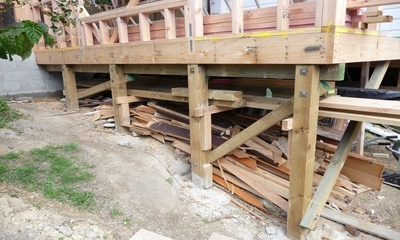 Examples of braced timber pile foundations, New Zealand (Charleson).